Splash! 2012 Classes—MIT Gangnam Style Strikes Again! In between us there are mellifluous lies, bringing us together and pushing us apart, unsteadily surprising us as some explode in our faces when fragments of truth come along. You in your ruinous foggy sweater this wintry morning would have it no other way, for the bonds of fiction and fallacy offer so much possibility when it’s cold. He wallowed in Trisha’s couch, resolutely. Until she got home. Then they played chess for hours, to prepare for tomorrow. Can’t wait until Spark! 2013. Oh yes—I sat in on the Splash! 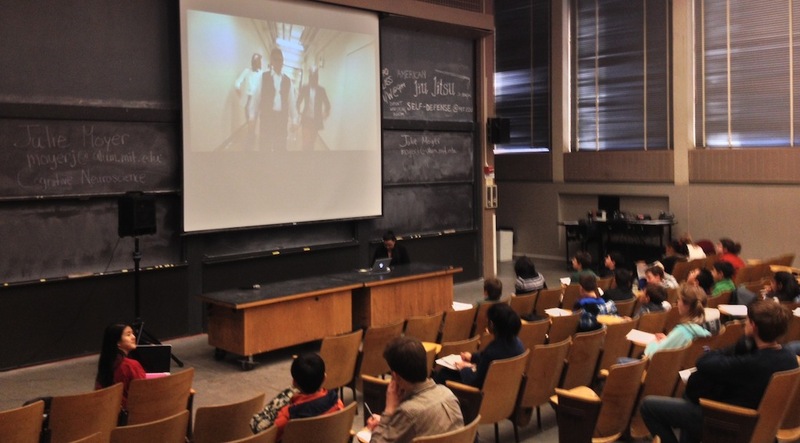 Cognitive Neuroscience class, which opened with MIT Gangnam Style!